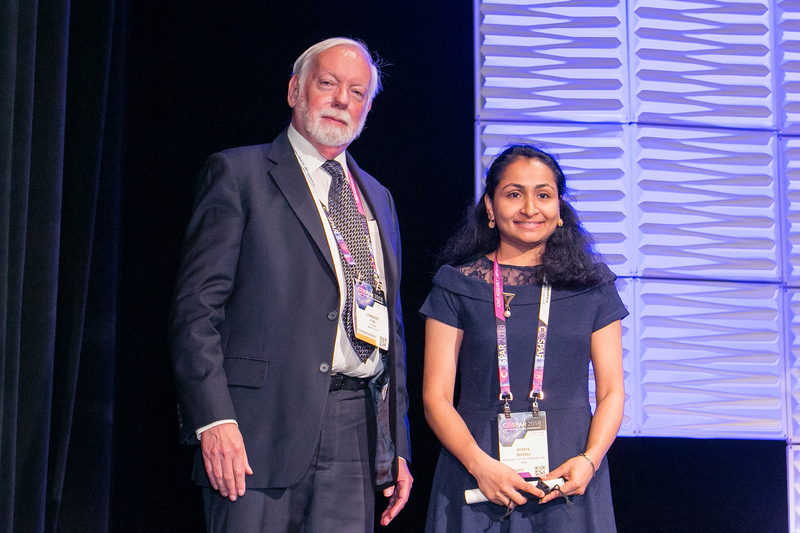 Dr. Remya Bhanu is presented with the 2018 Zeldovich Medal for COSPAR Scientific Commission D. The Zeldovich Medals are given to young scientists who have demonstrated excellence and achievement in their field of research. They are conferred by COSPAR and the Russian Academy of Sciences to honor the memory of the distinguished astrophysicist Academician Yakov B. Zeldovich. She received the award on 15 July 2018 in the inaugural ceremony of the 42nd COSPAR Scientific Assembly at Pasadena, California, USA.